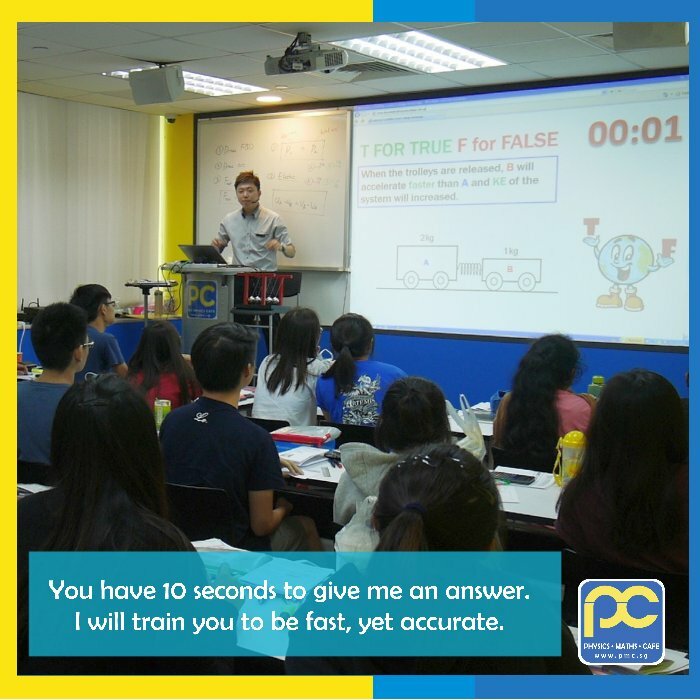 The Leading Tuition Center in Singapore with 1000 new students enrolled every year. 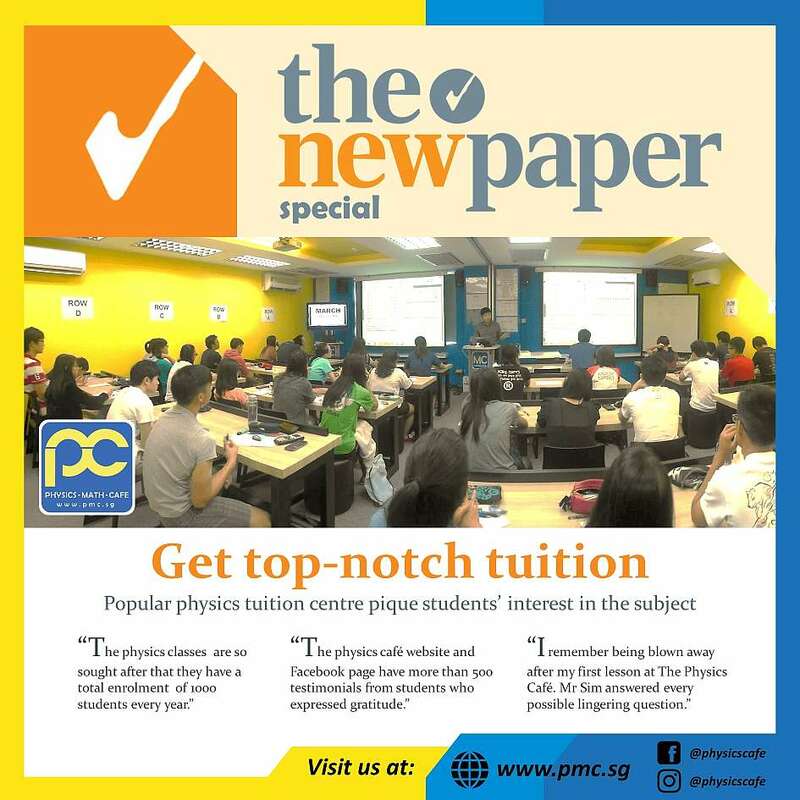 Specializes in JC Physics, IP Physics and Secondary Physics Tuition. 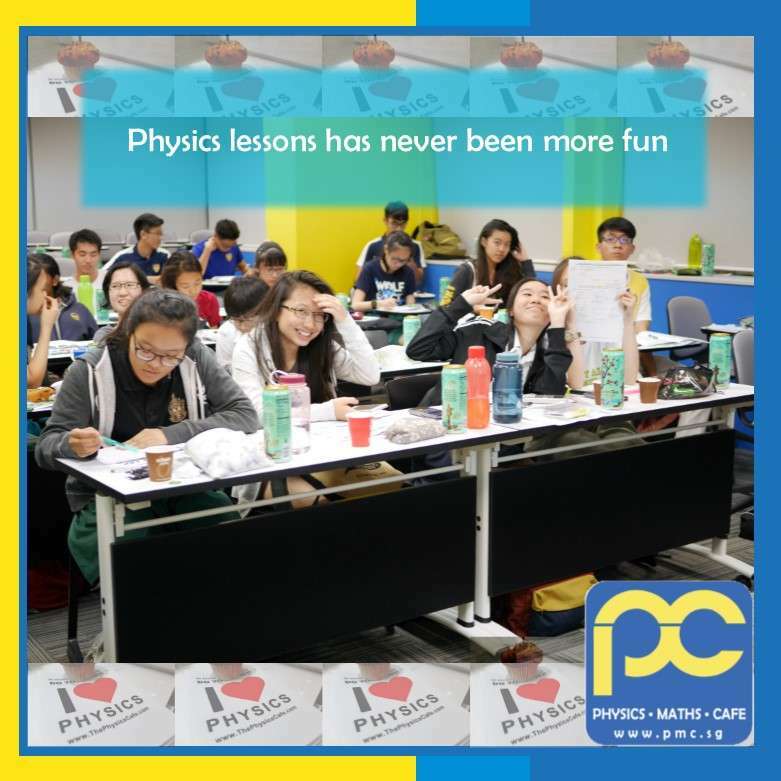 Sign up for our 2019 JC, Secondary, IP Physics classes today. "Hello and Welcome to The Physics Cafe! If you already know who we are and would simply like to check for vacancies, please visit the class schedule or online registration. If you are not recommended by friends or relatives to our center, not to worry, please allow me a brief introduction. 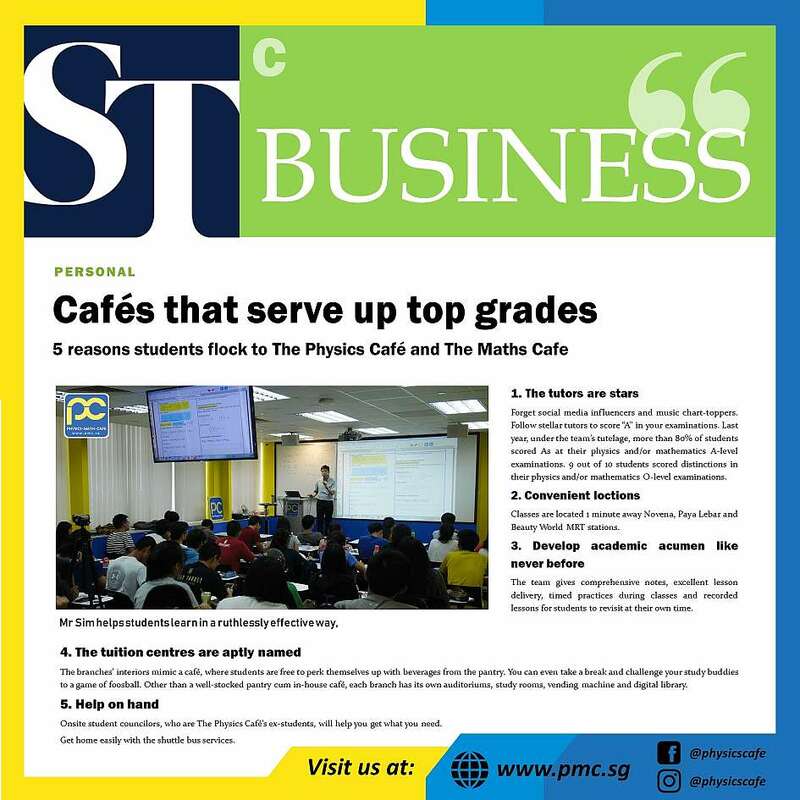 The Physics Cafe is dubbed as a premium school in Singapore that specialises in JC, IP, secondary Physics tuition, as featured in The Straits Times, The New paper, asiaone.com, Vulcan Post. 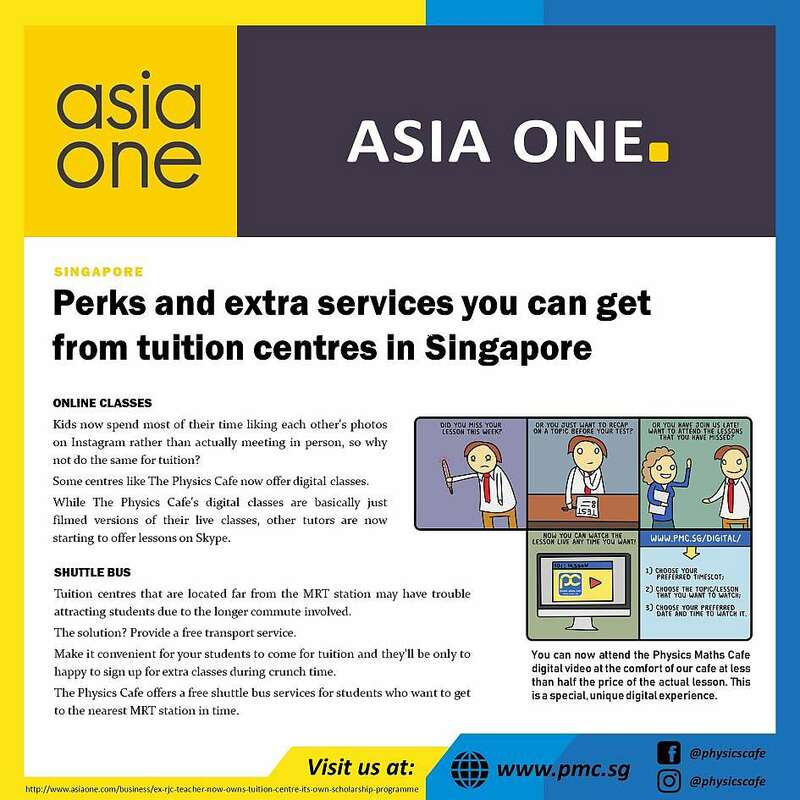 The locations are conveniently located next to Beauty World MRT, Novena MRT and Paya Lebar MRT. We have our own lecture theatre, in-house cafe, exclusive study rooms, digital library, scholarship programmes and even our own shuttle bus. 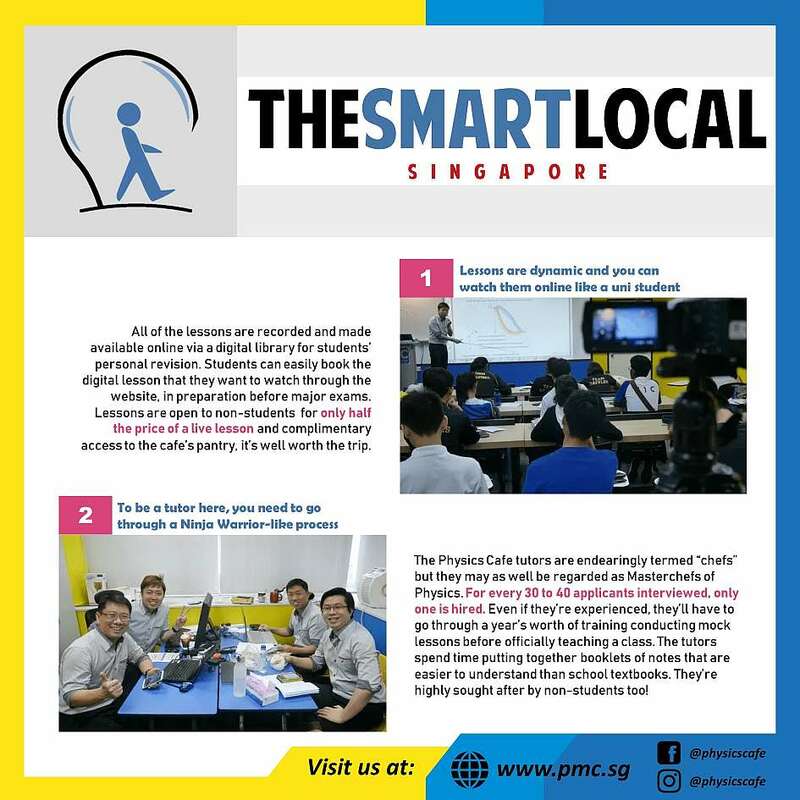 And most importantly, we have the best teachers in Singapore! 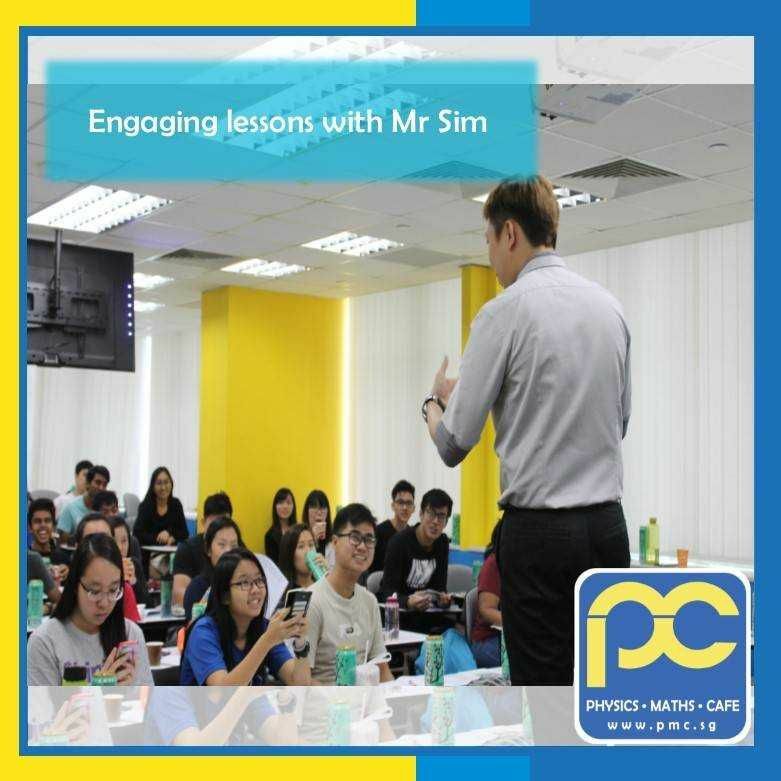 The Physics Cafe is founded by Mr Dave Sim who have taught in Raffles Junior College for 6 years. We have a team of highly sought after tutors who are chauffeured by the school driver between the centre to ensure consisent high standard of our lessons. 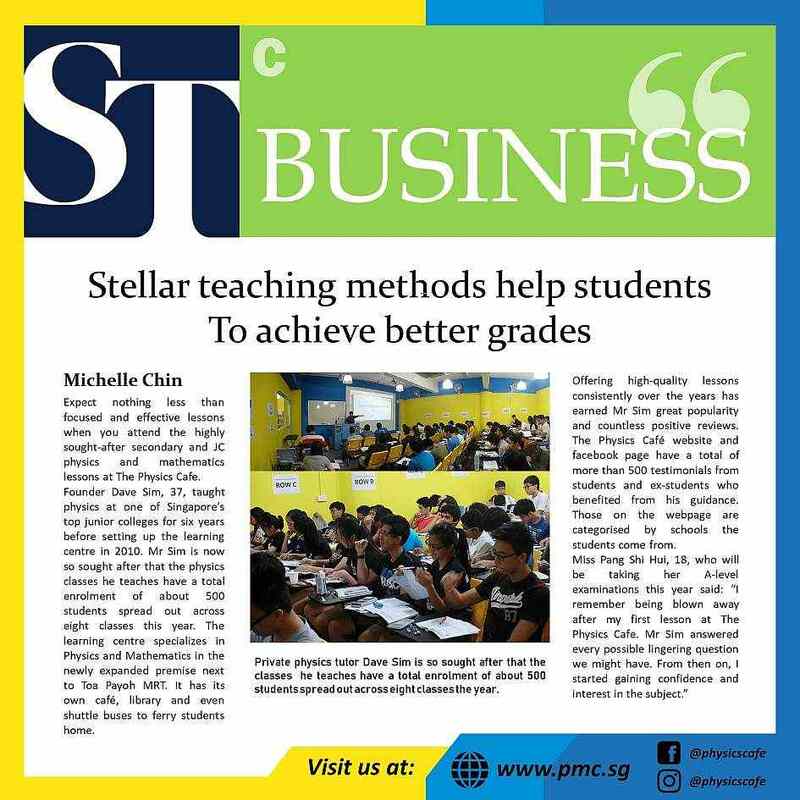 The stellar academic results produced by the students and the number of students we attracted prove that this is a winning formula. 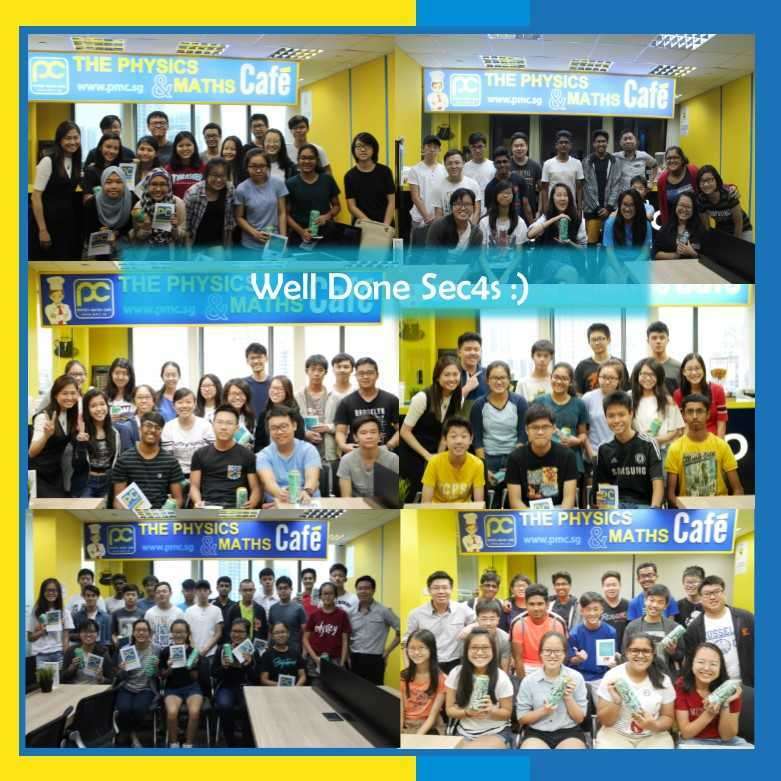 80% of the students consistently scored “A” in their GCE A-level examination and 90% of the IP/Sec students consistently scored “A” in their final IP Exam and GCE O-level examination This doubles the steady national average of 40 percent A and is higher than the percentage A of the top IP schools in Singapore. 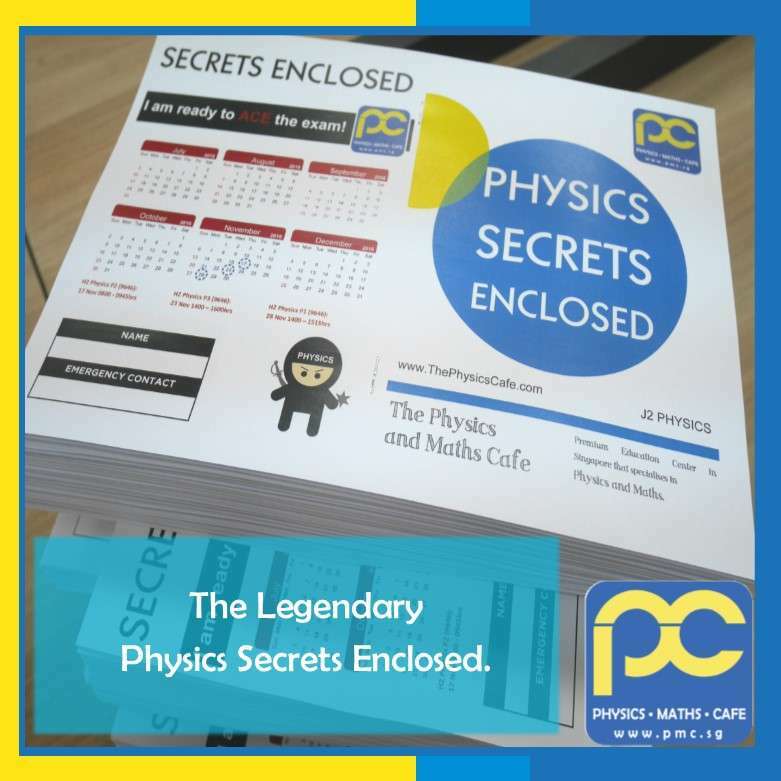 The Physics Café remains highly sought after by students from reputable schools. 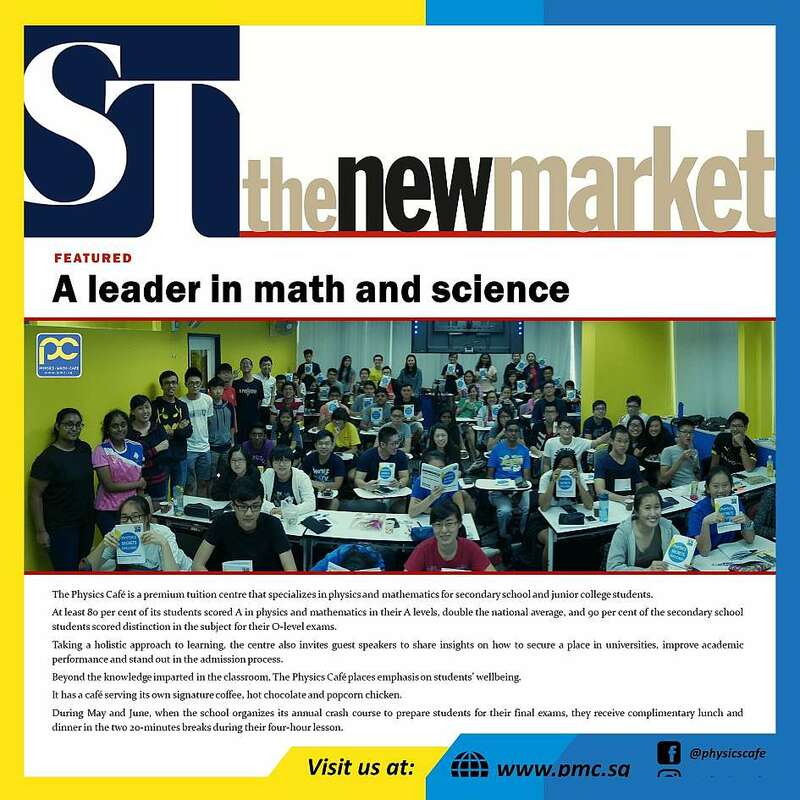 PS: You will be excited to know that we also offer physics and math tuition at secondary, IP and JC level too. Hope you like the appetizer above! You may like to hear from the Principal Chef instead. 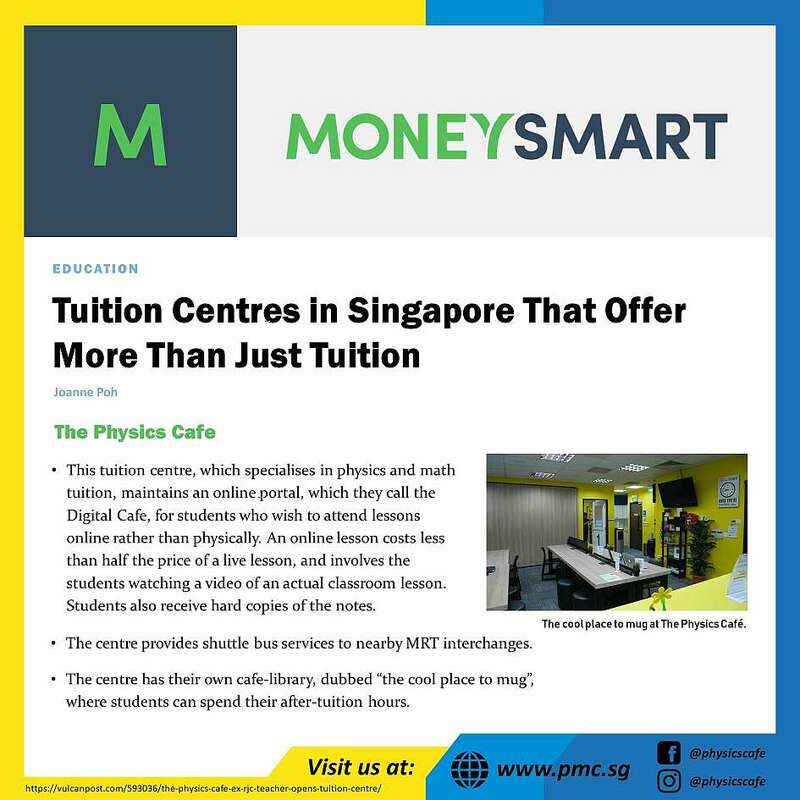 physics tuition centre in Singapore.